Engineers are pivotal to addressing the issues facing our planet and its people, write Engineers Australia President Trish White and CEO Peter McIntyre. By many measures, the natural environment is under constant threat, with climate change, extinctions, deforestation, over-fishing, and such ocean pollution that one in four fish we eat contains human-made rubbish. It would be easy to give up in despair. It would also be counter-productive. If we want our children and grandchildren to enjoy the same or better quality of life as ours, then as engineers we need to act. the Byron Bay Railroad Company’s retro-fitted solar-powered train, from which the only “emission” is excess energy fed back into the grid. 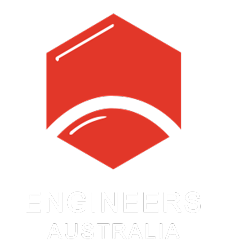 Engineers Australia advocates publicly for sensible policy, grounded in science and influenced by engineering know-how, in all areas of industry and government. We also work to promote sustainability in our profession with a wide range of activities. Last year, Engineers Australia published a detailed best-practice guide, Implementing sustainability: principles and practice. Members can access this free of charge through our website. Next year, we will put sustainability — and Australian engineering — on the global stage, when, in November, we bring the World Engineers Convention here for the first time, under the theme ‘Engineering a Sustainable World: The Next 100 Years’. Through our Code of Ethics, all Engineers Australia members undertake to promote sustainability. The competencies used to assess candidates for Chartered status have also been updated to include developing safe and sustainable solutions, as part of our obligation to the community. That involves incorporating environmental, social, cultural, and health and safety considerations into our decisions, not just thinking about technical and commercial matters. We need to identify the likely environmental and social effects of our decisions over a project’s entire life, inform our stakeholders, and work to mitigate, remediate and offset those effects. Engineers and engineering are vital to providing the solutions our planet and its people need, and each of us has a valuable role to play. In closing, we’d like to wish you and your loved ones a fantastic festive season, and a successful — and sustainable — New Year!